There is a good reason why some people call shea butter ‘women’s gold’ and that is because it is mainly produced by women in Africa who make a living out of it and also because of its super healing properties. 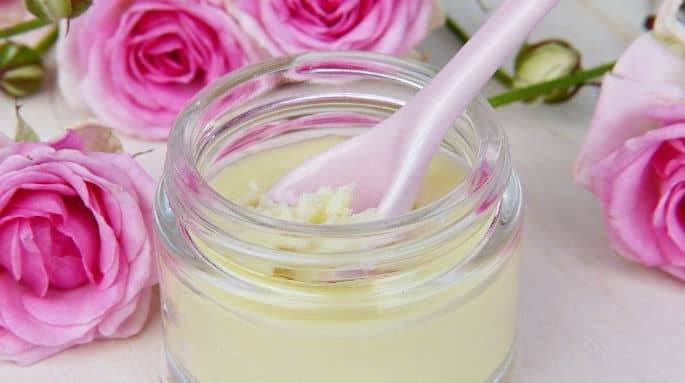 Yellow shea butter benefits for skin and hair are many and that is why this wonderful moisturizing and healing natural product has gained so much popularity in the beauty and health industry. Still, not all yellow shea butter is equal. While some will be super healing and nourishing for your skin and hair, others would just be fake products that have been dyed in order to be more attractive to potential customers. That is why it is really important to know your yellow shea butter well. Here is all that you need to know about what yellow shea butter is and if it is real, benefits of yellow shea butter for your skin and hair, how to use it, pros and cons, as well as how it is different to white shea butter and ivory shea butter. What Is Yellow Shea Butter? Yellow shea butter is a mix of raw unrefined shea butter with the root of the Borututu tree that also grows in Africa. This root is added to the shea butter during the milling process and is responsible for that beautiful bright color yellow shea butter has. Apart from adding to the beauty of the product, the borututu root adds to the healing effects of unrefined shea butter and increases the antioxidant content of yellow shea butter. Yellow shea butter is rich in antioxidant vitamins A, E and F, phenols as well as fatty acids. When looking to buy yellow shea butter, you may bump into two more options that are sold as yellow shea butter. The first option is butter (beware not shea butter) that comes from the African Butter Tree seeds and not the Shea tree seeds which produce shea butter. African Butter Trees grow in the dense forests along the banks of the rivers whereas Shea Butter trees grow in open savannah. African butter or Kpangnan butter is rich in omega 6 and 9 fatty acids and Stigmasterol, a phytosterol with potential anti-inflammatory function. It also contains vitamins A, E, and F.
African butter can be easily confused with yellow shea butter due to its yellow color and some of the common skin care benefits it shares with shea butter and even cocoa butter. When applied to the skin it offers light moisture coverage, protecting the skin from loss of moisture and keeping it more firm. It has a smooth powdery texture leaving the skin with a silky feeling. Contrary to yellow shea butter which has to be melted between the palms of your hand before application, African butter can be applied right away. Among its many benefits for skin, it can also be used for dry cracked hands with success. This butter is healing to the skin but has less unsaponifiable matter compared to raw shea butter. 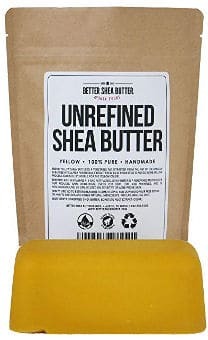 In the market, you can also find shea butter that is called yellow but it is not real yellow shea butter. This product is often created from white shea butter, which is a refined and bleached version of shea butter and is mixed with dyes to give it its yellow color. This means that the healing properties of this product will be largely compromised. The existence of synthetic dyes can also become the cause of skin irritation to some users. Especially for people who want to use yellow shea butter for eczema, dermatitis, itching peeling skin and other issues, the use of fake shea butter can further provoke their sensitive skin. A lot of people ask if yellow shea butter is real. 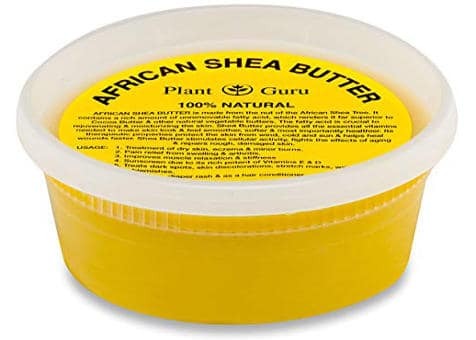 The answer is that there is top quality unrefined shea butter that is yellow due to the mix with the Borututu tree root and there is yellow shea butter which is not actually shea butter but it is African Butter deriving from the African Butter Tree and not the Shea Tree which normal shea butter comes from. There is also fake yellow shea butter which may be white refined and bleached shea butter mixed with yellow dyes. Knowing which yellow shea butter is the one that can have the best benefits for your skin is important. Top quality yellow shea butter has great healing, nourishing and moisturizing properties. It is soft and creamy in texture due to its water content and it easily melts in the hands. It gets absorbed nicely to the skin, leaving your skin instantly soft, smooth and soothed. It is said that its composition is very close to the one of the skin’s natural sebum and that probably makes it so easily absorbable. Over time, the skin feels nourished and yellow shea butter can be successfully used to heal skin issues naturally. Yellow shea butter is also rich in antioxidant vitamins, which can make it effective for fighting free radicals and diminishing some of those aging signs or preventing them. 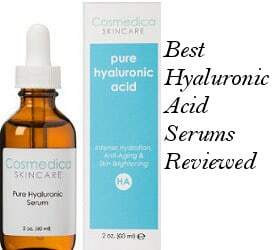 It is non-comedogenic, which makes it a good natural ingredient for prone to acne breakouts skin, too. Moisturize and nourish dry skin. Relieve symptoms of eczema and dermatitis. Prevent the formation of stretch marks. Relieve skin rashes and irritation. 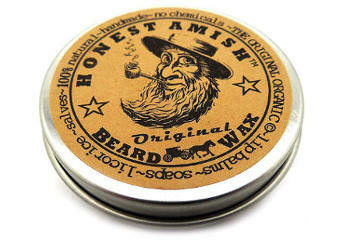 Excellent for the skin during cold weather conditions. Reduce wrinkles and fine lines naturally. Promote the healing of scars and marks. As a super emollient natural ingredient, yellow shea butter can be great for softening thick or coarse unruly hair. It adds moisture to the hair and can make it more flexible and shiny. It is also used to reduce frizz and prevent hair breakage. It is great at protecting hair from aggressive hair styling methods such as flat irons, blow drying and curling wands. In addition, it can be used to soothe an irritated dry scalp and is suitable for damaged and color-treated hair. A little goes a long way. Most of the times, you only need an amount which is equal to a pea. Using too much can weigh down your hair. Yellow shea butter may not be suitable for thin, oily or flat hair. This yellow African shea butter from Ghana is real shea butter. Its yellow color is due to the addition of Borututu tree bark. It is completely free of additives or chemicals. Another good quality raw unrefined yellow shea butter, Plant Guru Yellow Shea Butter takes its bright yellow color from the root of the Borututu tree. It also gets excellent users’ reviews. There are many different ways and recipes to use yellow shea butter and I guess this is what adds more magic to this amazing natural product. Each of us can create our own DIY recipes according to our skin care or hair care needs as well as our personal scent preferences. To make a lovely smelling whipped shea butter for body nourishment and moisture, use your electric mixer to mix 70% of yellow shea butter with 30% of jojoba oil. Add some drops of your favorite essential oils and you have a lovely treat for both your skin and your senses! Beautifully relaxing essential oils you may like are lavender oil, rose oil, mandarin oil, and neroli. Apart from their amazing aroma, they are also great for the skin. Yellow shea butter can make your skin soft and silky to the touch but you can enjoy better results if your skin is exfoliated. Since body exfoliators are not always in our buying priorities, you can create your own DIY yellow shea butter body exfoliating scrub in no time! Simply melt 1 tbsp. of the butter and then add 2 tbsp. of brown sugar and a few drops of essential oils. Let the mixture cool and rub the scrub on the skin using soft movements. Recipes for making a salve with yellow shea butter are great for healing and soothing the skin. One natural ingredient that has been historically used for eczema and damaged skin is calendula oil. To create a skin healing salve, melt 2 ounces of yellow shea butter with 1 ounce of beeswax and 1 ounce of calendula oil. Pour the mixture in a tin and let it solidify before it is ready to use. White Shea Butter Vs Yellow Shea Butter- What Is The Difference? Shea butter that has a bright white color is most probably refined and bleached, which makes it lose most of its healing and skin nourishing properties. This type of bright white shea butter may be suitable to add moisture to the hair but it is not the right one for healing and treating the skin. According to experts, pure unrefined shea butter should have an off white, ivory or beige color and not a bright white color. On the other hand, unrefined yellow shea butter does keep its healing properties and it is great for the skin. Ivory shea butter is an unrefined shea butter with all its healing properties intact. It spreads easily onto the skin and has a very smooth texture. Compared to the yellow shea butter, the ivory shea butter has a lighter scent. During the process of formulation, Ivory is said to be boiled for a longer period than yellow. Yellow shea butter does not absorb into the skin as easily as the ivory does. It also has a stronger more nutty smell than the ivory. A pure unrefined natural product that is very beneficial to the daily skin and hair care as well as for dealing with a number of skin issues such as eczema, dry skin, sunburn, stretch marks and more. Very moisturizing, healing and nourishing to the skin and hair. You can create a number of great DIY recipes with yellow shea butter. 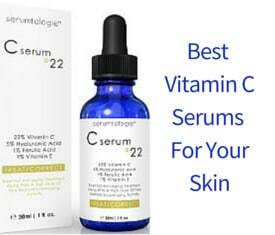 Very affordable skin care product. By buying pure ethically sourced yellow shea butter, you help African women be fairly paid and be able to provide a better life for their families. Yellow shea butter may give a yellowish or bronze tone to the skin and people with light skin might not like it. Should not be used on open wounds. It has a stronger smell compared to the ivory or white shea butter. Yellow shea butter benefits for skin and hair make it a great natural product to have especially if you are a DIY skin care enthusiast. But even if you do not follow any recipe, yellow shea butter can be easily applied to the skin just on its own. Yellow shea butter is a hand-made product and it takes a huge amount of hard work and effort to be made, but it is very affordable, which makes it a great natural skin and hair care product overall.